I discovered galls from a documentary about the oak tree.. since then I’ve been looking for them everywhere. My aim is to collect all the different types, but I might have to travel far flung places. 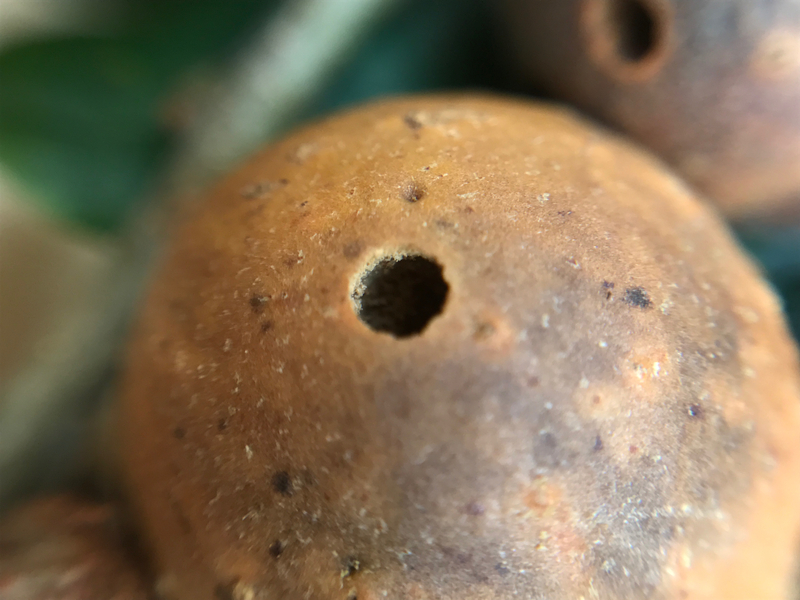 The larvae of the gall wasp adapts the mathematical patterns of the acorn DNA. Due to biological processes nature has deviated in some way. This is what is interesting here. I enjoy looking for these occurrences, when nature disobeys its own rules. Like looking for the 4 leafed clover. What is also interesting is that the gall wasp has a complex life cycle. Those that hatch from galls in autumn will be female while those in spring may be both sexes. 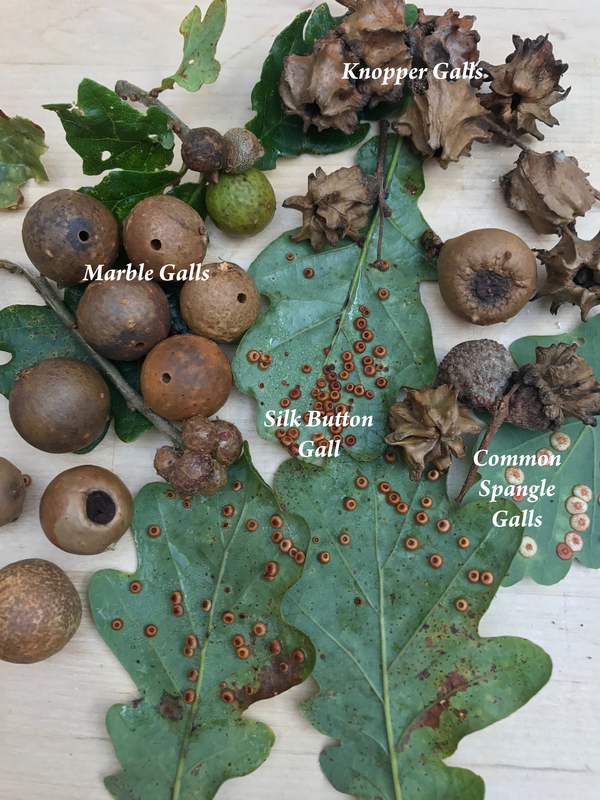 And the resulting generations from these galls may go on to produce a different type of gall in a different oak species. 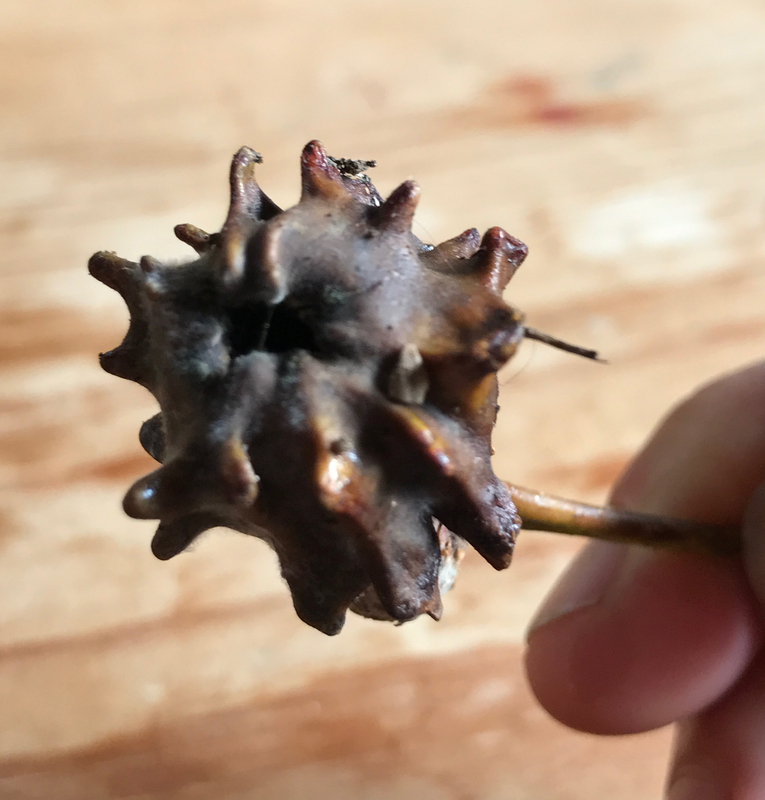 All galls i am now fascinated with and can’t believe I missed them out from my circles in nature collection. 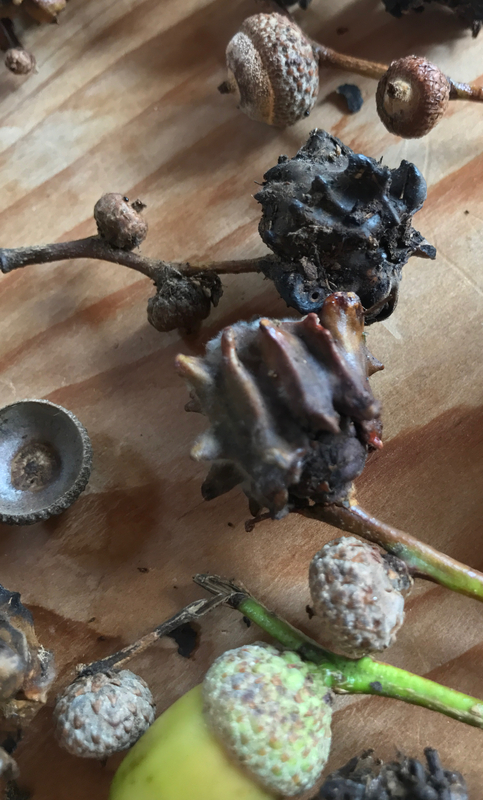 The knopper galls bare little resemblance the the acorn. Other galls are made on leaves branches or buds of the oak and don’t involve hijacking the flower bud. Some spiky, some spherical, some like pearly buttons or reminiscent of scale insects. Versions I have collected so far in South West U.K.
Interestingly the next generation of wasps that pupate and leave in spring through the tiny holes visible, will lay their eggs in a different type of oak and create different style galls. They have a kind of alternate pattern to their behaviour.